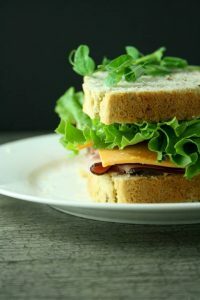 This easy to make Gluten Free Flax Sandwich Bread tastes delicious. It holds together and isn’t to heavy. It is a little bit different from regular bread because the dough is more of a thick batter than a firm dough. Other then that it’s the same. It even smells like regular bread when it’s baking. 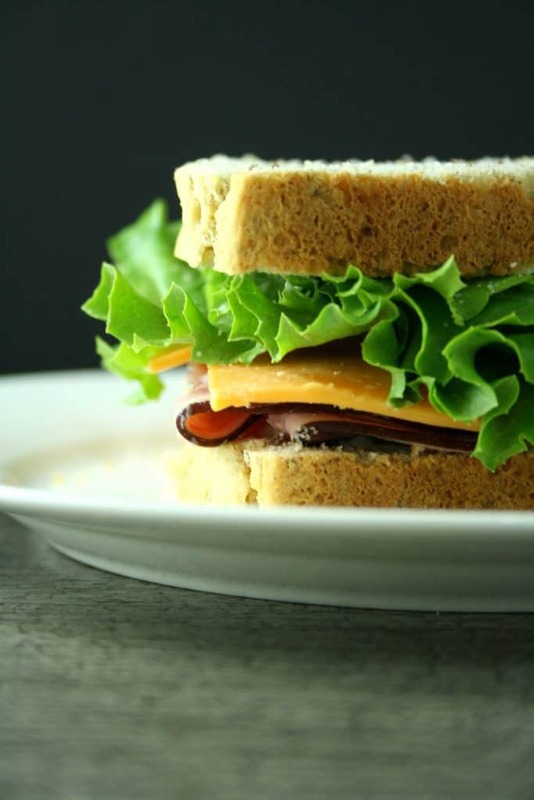 It makes amazing sandwiches or toast with peanut butter and jam. Slice the loaf into thin slices before freezing. I found a big bag of Flaxseed for $3.00 at my local grocery store, then I cleaned out my coffee grinder to grind it. It was the perfect addition to this already tasty bread. Plus being on a Gluten Free Diet can use all the extra fiber we can get. I think I will keep my eye open for a smaller bread pan. I only have one and it’s very big. It still worked well but I would like it if the bread was a little more square. I wonder if that’s why store bought gluten free bread are always tiny little loaves. 2. Beat, then add the eggs, melted butter and honey. Mix until well combined. Stir in the rice flour, corn starch, flax seeds and xantan gum. Mix until well combined. Place the dough into a lightly greased bread pan. Let rise in a warm place for 40 minutes or until it has risen to the top of the pan. 3. Pre heat oven to 350 F.
4. Bake for approximately 1 hour. 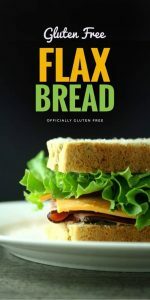 This recipe makes 1 loaf of Gluten Free Flax Sandwich Bread. Beat, then add the eggs, melted butter and honey. Mix until well combined. Stir in the rice flour, corn starch, flax seeds and xantan gum. Mix until well combined. Place the dough into a lightly greased bread pan. Let rise in a warm place for 40 minutes or until it has risen to the top of the pan.